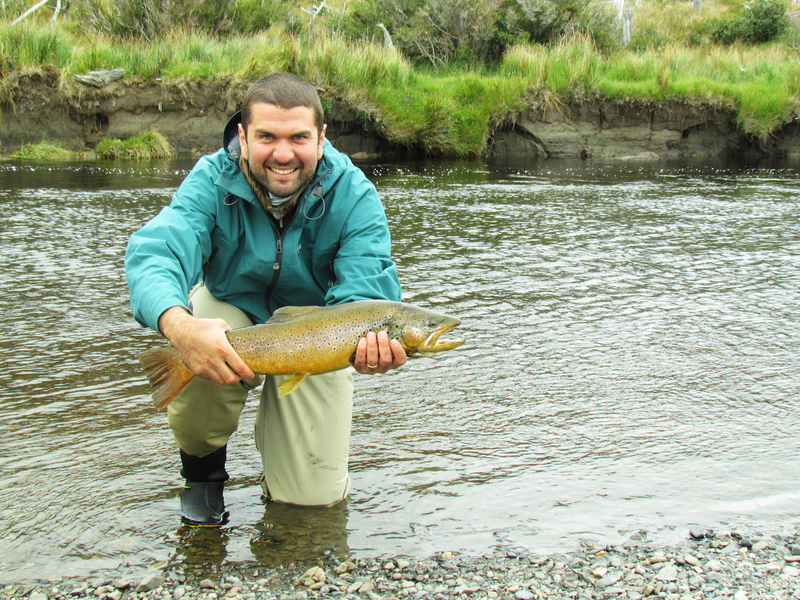 The desire to fish in the southernmost rivers of the world is what drove us to head to Navarino Island which sits south of Tierra del Fuego. This remote island has several fishing areas. 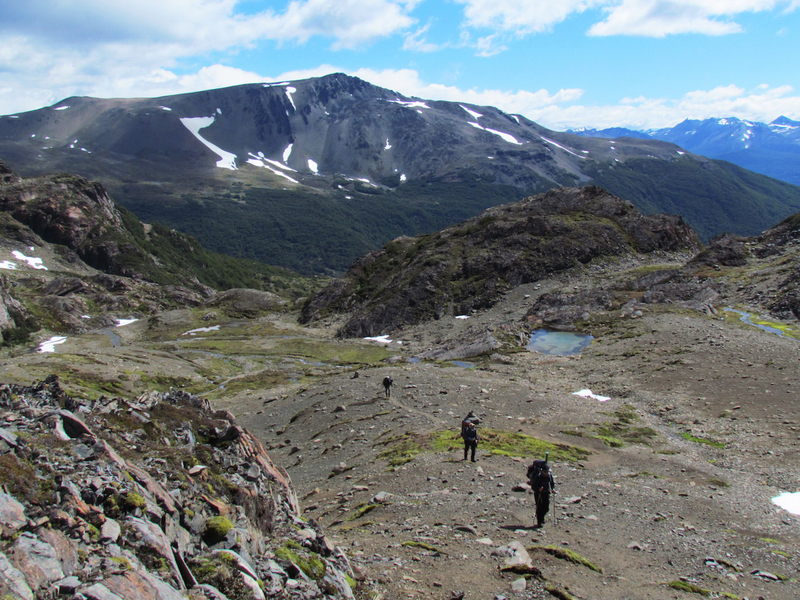 Along with Gonzalo Oliver, Giancarlo Robba and Nicolás Oliver we set off and after reaching Puerto Williams, the largest town on the island, we began hiking the Dientes de Navarino (Navarino Teeth) circuit, a trek with beautiful scenery, snow-capped mountains and pristine valleys. But such wonderous landscapes often have tough trails to follow. 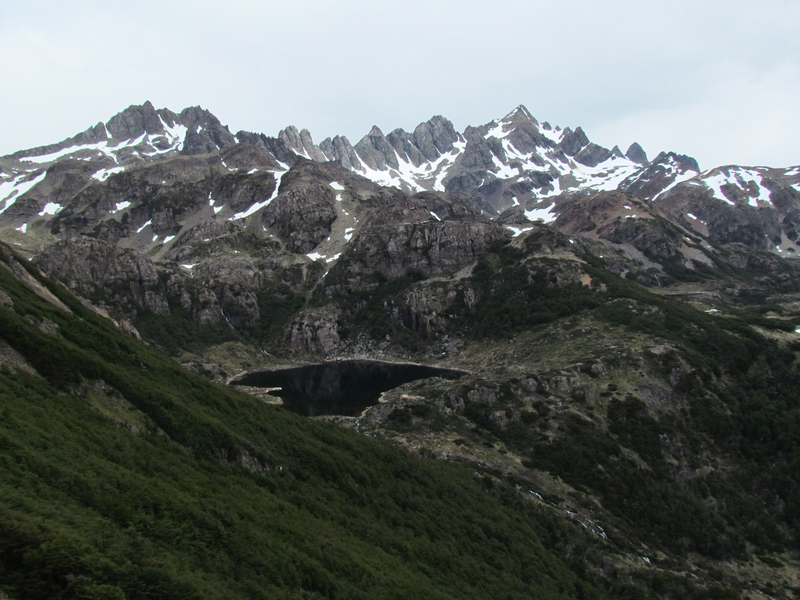 Our first objective was to reach the refuge at Lake Windhond for which we had to first climb to the Bettinelli Pass and then traverse a seemingly endless peat bog. Lake Windhond, our first fishing stop, is shallow and has a wide variety of fish species. We caught brown and rainbow trout, none over 1 kilo but in abundance, which more than compensated for the small size. After several days, we circumnavigated Lake Windhond heading to the bay of the same name which is fed by the Windhond and Navarino rivers. The hike to the bay was magical and unique. 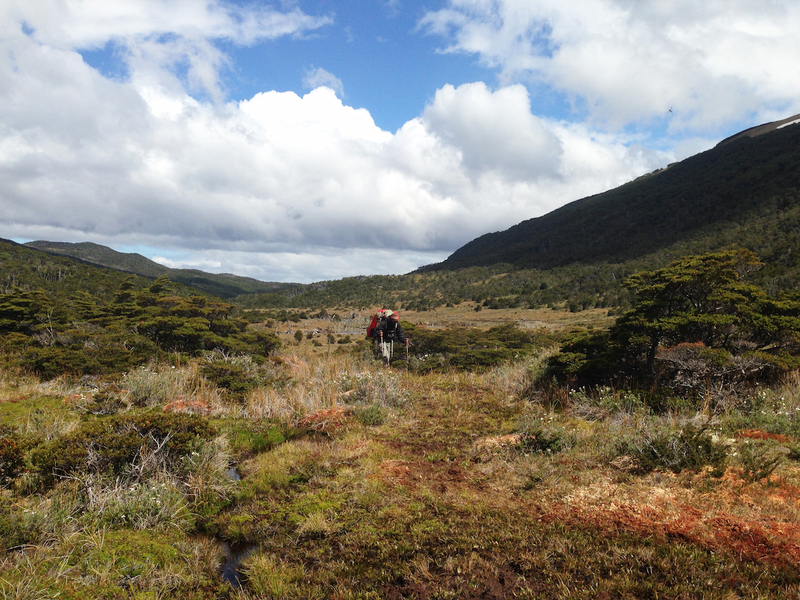 After crossing a mountain pass and tramping over more peat bogland we saw large beaver lodges and the vegetation began to change as we neared the southern coast of the island. We reached the rivermouth of Windhorn River and began to fish. 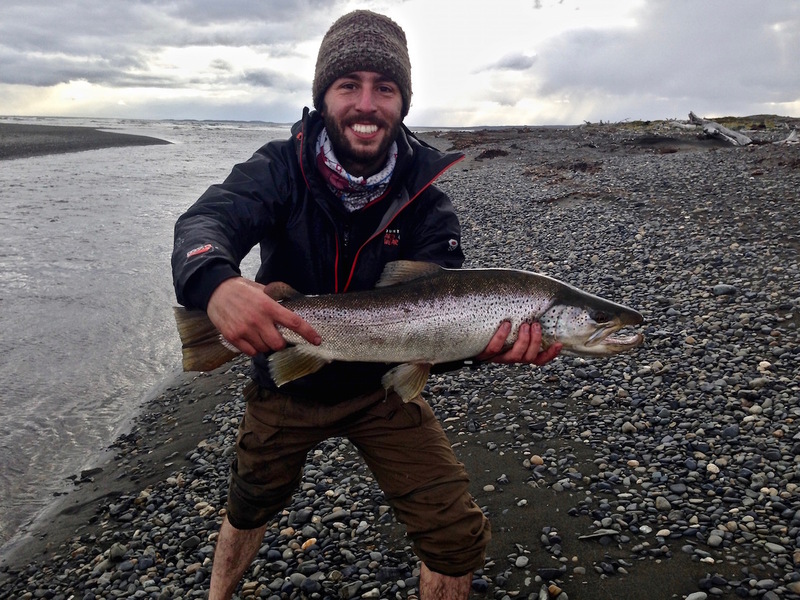 Giancarlo caught a beautiful male sea trout weighing 5kg, the largest of the trip. Still keen to keep fishing, we kept walking to the Navarino River mouth, where we stayed for five days. The Navarino is a long, narrow, snaking, slow moving, deep river, surrounded by peat bogs and beaver lodges, and stocked with a large number of resident browns and sea trout as well as rainbows, steelheads and fontanalis, all large and in fighting spirit. They tried everything to shake the fly free. Some managed to escape but the smaller fish, up to 4kg, were no match for our perseverance. After that experience, we were very happy, but not all would be so easy. While up until then we had had cold but stable weather, the following week we were hit by a strong wind storm with below freezing temperatures and snow falling down as far as sea level, in the middle of February. The rivers swelled up and became turbid. We caught trout ranging from large to under half a kilo. We had been travelling for 15 days and were running low on provisions and energy so we decided to return to Puerto Williams. It took seven days of walking to return, crossing rivers and flooded landscapes that hadn’t been that way before. The island had turned hostile and we felt exposed to the power of nature. We had been away 23 days, out of contact and crossing long distances. 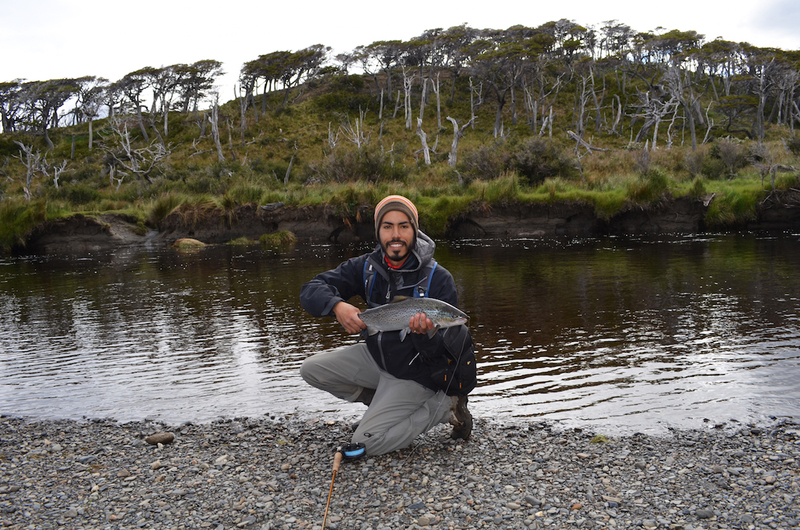 When we arrived back in Puerto Williams, several kilos lighter, we had a special feeling of achievement. We ended the adventure with a wonderful barbecue in the Ukika park, a worthy reward for having endured one of the most hostile places on earth.